Our biggest bulk of events are weddings and corporate dinners, but we also perform for birthday parties, anniversary celebrations, product launches & fashion shows, and private events to celebrate just about anything! MDT Music Enterprise has been providing music entertainment since 1997. Our biggest bulk of events are weddings and corporate dinners, but we also perform for birthday parties, anniversary celebrations, product launches & fashion shows, and private events to celebrate just about anything! We began as just a duo in 1997, and now have a core band of musicians who are our regular performers for any event live band. We have also widened our network to be able to provide a variety of performers covering a wide range of music genres, and also Masters of Ceremony, DJs, dancers and entertainers. We also are equipped to support these performances with our sound & lighting systems. Weddings are our staple. 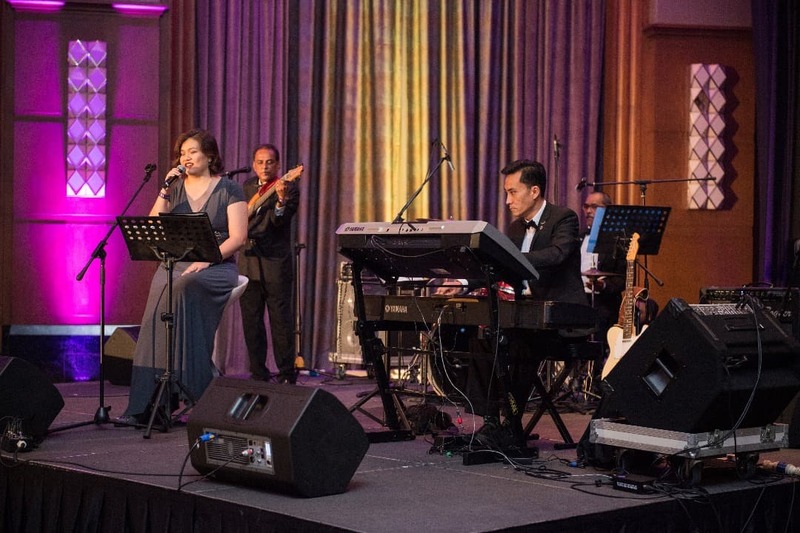 Done right, the live band enhances the atmosphere and ambience of the event. For those who prefer quiet music or instrumental music to create an elegant mood, we recommend our String Trios & Quartets. 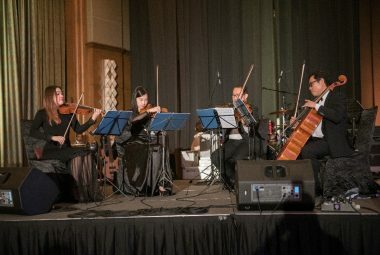 Couples who want to add some cosy, personalised touch can opt for a strolling band to play during cocktails or even to take requests as they visit the guests’ tables. We recommend our 5-piece live band to cater for the widest range of repertoire to entertain guests of different age groups. The bridal couple will always be the focal point of the event, and our team is there to support and complete the event with tasteful music selections. We can even assist in creating a memorable bridal couple entrance with your choice of song played live. Corporate events also have their own different requirements. Some need an opening gambit, others want a specific artiste for “Showtime”, some have specific themes. We can cater for all these with the right brief and sufficient advance notice. Some companies want minimal movement on stage from start to end, while others prefer the band to get the crowd up and partying on the dance floor. 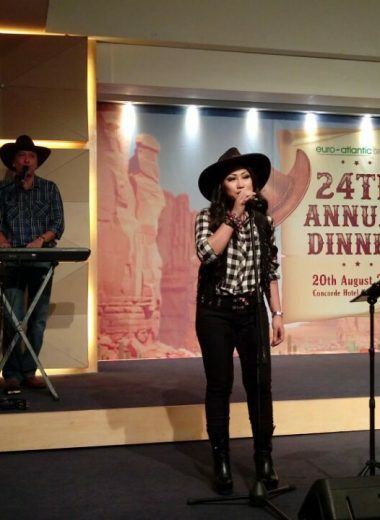 Some want cool jazz or current Top 40’s or Country ‘n’ Western or Shanghai theme, to name a few. Just get in touch with us and let us put together the best entertainment to fit your requirements. We have performed at various venues, and sometimes, the space constraints may affect the size of the band you can fit in. 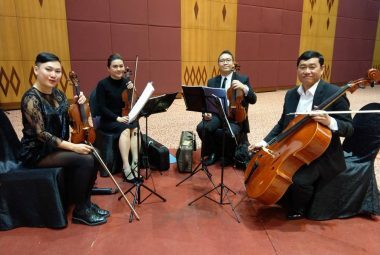 Certain Chinese restaurants such as Extra Super Tanker in Glo Damansara, Noble Mansion, Grand Imperial in BSC, Ah Yat Abalone to name just a few – these are pretty tight on stage space, so most people opt for a 3 piece or 4 piece band. Others like Sin Choi Wah in Kepong, Fei Chui in Kajang, Hao Xiang Chi Seafood in Setia Alam have a larger main stage which can fit a 5 piece or 6 piece live band. Hotel ballrooms usually are able to put up a separate side stage for the band so that the formalities such as champagne pouring and cake cutting and speeches are not cramped with band equipment and instruments. Most of these venues do not support with sound systems for live music performances, so do take note that you will need to hire a sound system. Let us know these bits of information: Date, Venue, Event name, number of pax attending, type of band/music genres you prefer. If you are working within a certain budget, do let us know, too. Entertainment by a live band does not have to burn a hole in your pocket. This event live band brief will help us to help you. Once you have confirmed your selection, we will make the necessary arrangements to ensure the set up is done accordingly. All that’s left to do is sit back and enjoy the event.